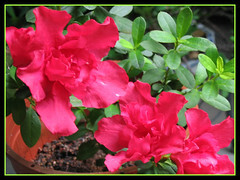 Rhododendron simsii (sym: Azalea indica) or better known commonly as Indoor Azalea, Indian Azalea or Chinese azalea/Indica, is definitely our garden STAR FOR THE MONTH OF MAY! 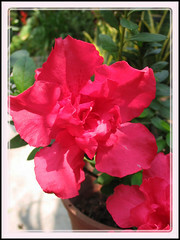 As I joyfully delight in its beautiful flowers for almost a month, I felt ashamed and guilty of having neglected it. Thank God that it was not too late!